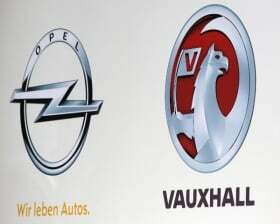 FRANKFURT -- Opel/Vauxhall has started work on a new flagship model that will launch at the end of 2016 or early 2017, company sources told Automotive News Europe. The car may come to market with alternative powertrains such as a fuel cell system to help boost Opel's green image. According to internal plans, Opel's management board sees an annual sales potential of about 20,000 units. The new model will be positioned above the company's Insignia midsized car. Klaus Franz, Opel deputy chairman and the company's top labor official, said the flagship should be a "technological spearhead" for the brand with hybrid and fuel-cell propulsion systems and lots of other state-of-the-art technologies. "Already with the our Ampera electric vehicle, we have shown what we are able to do and enjoy an advantage of two to three years compared to the competition," Franz told ANE. Franz said unions will press for the car to be built in Germany. "The workers representatives will support this project to the fullest. A flagship like this can only be built on the Epsilon 2 architecture with long wheelbase. We will do everything to build this car at our headquarters in Ruesselsheim, rather than Mexico or elsewhere," he said. Franz sees annual sales of 20,000 for the model as realistic for Opel/Vauxhall in and outside Europe. He said it is unlikely to be possible to launch the flagship, which is internally called the TOL (top-of-the-line), before 2016 because of other priorities, such as introducing a new minicar codenamed Junior, as well as new Astra-based convertible and coupe models and a small SUV. "The TOL is a luxury," he said. In May, Opel CEO Karl-Friedrich Stracke said the company was mulling a new flagship model that would improve the brand's image. He told a Germany's Welt am Sonntag newspaper that the car would be a crossover between SUV and station wagon, with an attractive design, high functionality and premium features. An Opel spokesman declined to comment to ANE on the company's future product plans.